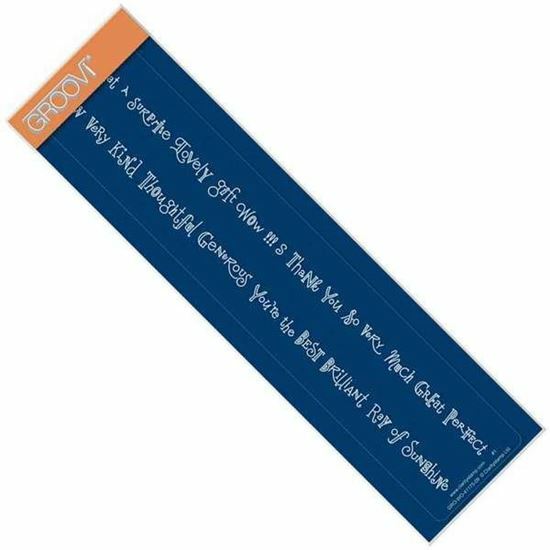 Groovi Border Plate - Thank You Petite Beautiful borders are easy to achieve with these plates. They are intricately designed, etched with a precision laser and by following the design path through parchment you can get breathtaking results. For best results from the Groovi Plates and Groovi Plate Mate, use the 0.8mm - 1.3mm embossing tool.